After returning to San Luis Obispo for a fourth-and-final year at Cal Poly, San Luis Obispo, continued work with GU Energy Labs has consistently stoked the fire, while satisfying my bug for adventure and travel. 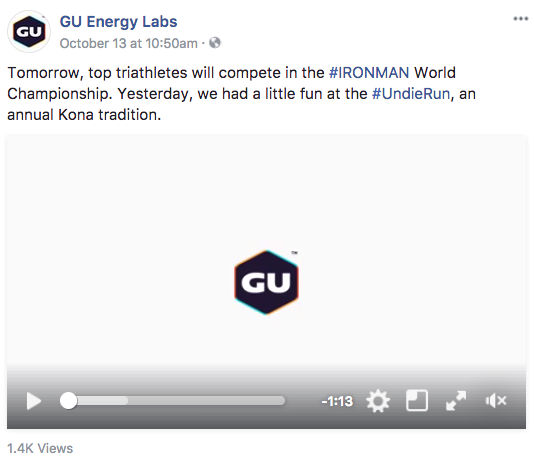 From Wednesday, October 11, through Sunday, October 15, I found myself in Kailua-Kona, Hawaii for the Ironman World Championship event. While gathering marketing content for the event, I was continuously impressed with the emotional and physical fortitude of numerous competitors. From the blazing-fast professionals to accomplished amateurs, there was no shortage of inspirational, motivating, and raw moments. Below, from the event, content has been published. From interviewing Mirinda "Rinny" Carfrae to documenting the Underpants Run, Kona was on another level. 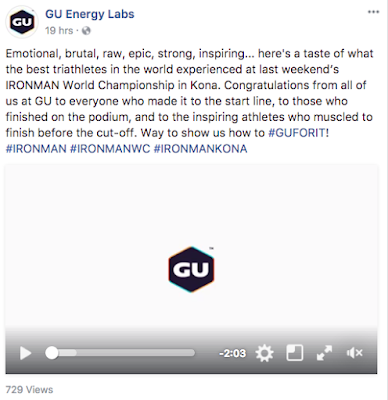 A massive thank you to GU Energy Labs for their trust and support. 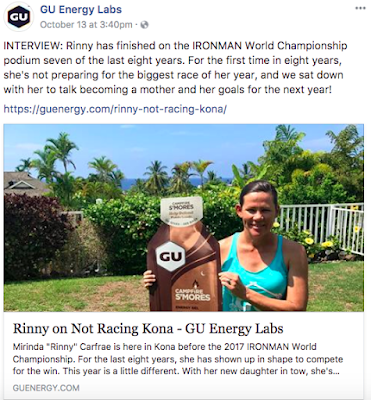 Mirinda "Rinny" Carfrae discussed her first time not racing Kona since 2009. Recapping Kona, this event was powerful. It wasn't all serious business, and the Underpants Run sure lightened the mood.